It was a good quarter for the WWE. Speculation around today centered on the Q2 WWE Network subscriber number. With WrestleMania occurring at the end of Q1, most analysts expected that the number of paid subscriber number as of June 30, 2015 would be lower than the March 31, 2015 number (1,327,000). It seemed commonsense there would be a contraction. The question was: how much? In the end, WWE reported 1,156,100 paid subscribers as of 6/30/15. It’s clear that Wall Street took this as a positive sign as the WWE stock jumped more than 17% to close at $19.36 for the day. Still, the key metric for the WWE Network is average paid subscriptions over the quarter which is the real trend rather than just an isolated snapshot. In Q1’15, despite breaking a million subscribers in late January and ending the quarter at 1.3M paid subscribers, the average paid WWE Network subscriber number for the quarter was only 927,000. In Q2’15, that number grew to 1,215,700 average paid subscribers and fueled the record quarterly WWE Network revenue ($36.6M). WWE continues to emphasize the revenue growth that the WWE Network generates compared to the traditional pay-per-view model. However, even CFO George Barrios admitted during the Q&A that WWE needs to average between 1.3 million and 1.4 million annual paid subscribers to achieve the OIBDA that was being generated with the prior PPV distribution model. This year WWE is sitting at 1,072,000 paid subscribers for year-to-date (January through June 2015). It appears that 2015 will be another “rebuilding” year for the company but at least WWE is again profitable (unlike 2014) and moving closer to achieving pre-WWE Network OIBDA levels. Intriguingly, for the first time WWE provided some clear guidance on next quarter’s expectations for a WWE Network subscriber number. As part of the “2015 Business Outlook”, it was noted that “The Company expects ending paid network subscribers of approximately 1.2 million”. According to Barrios, even though it’s only one month into the quarter, they feel “fairly comfortable” on giving the guidance. Such confidence may seem surprising considering the “churn” for Q2’15 was up significantly. In the second quarter of 2015 there were 508,000 subscriber cancellations and only 337,000 subscriber additions. The majority of the attrition was among domestic subscribers (fueling the “international users swap theory”). Yet the gap between WWE’s Average Total Subscribers (“average daily subscribers over the period, including both paid and free trial subscribers”) and WWE Average Paid Subscribers remains surprisingly narrow. It appears that the WWE Network is moving towards a plateau of 1.2 million monthly subscribers with 4%-6% of “free trial” subscribers at any given time. While a post-WrestleMania drop was expected, there’s clearly another story behind such enormous churn numbers. International WWE Network subscribers continue to grow from 44,000 (12/31/14) to 196,000 (3/31/15) to 217,000 (6/30/15). Now, about one in five WWE Network accounts is outside of the United States. 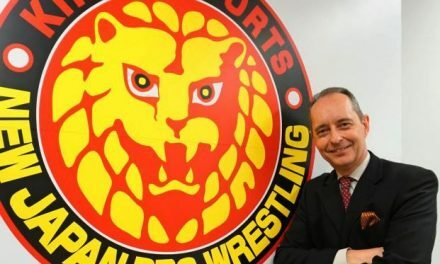 In July, WWE knocked two more countries off their non-WWE Network list (Italy, Malaysia) though the impact from that won’t be realized until next quarter’s results. There remains several major international targets for the WWE Network including India, China, Germany, Japan and Thailand. Considering that the WWE Network is priced higher in some of the existing international markets (U.K. at £9.99, Ireland at €12.99, Canada at $11.99, premium package for OSN in Middle East and Astro in Malaysia), it would be meaningful to see a further breakdown of international subscribers by specific marketplaces. India remains an important “long-term opportunity” for WWE (along with U.K., Australia, UAE and Mexico as high-growth potential countries). In June, WWE sent out a press release to publicize the arrival of two Indian athletes at the NXT training center. Unsurprisingly, WWE’s traditional pay-per-view revenue continues to shrink. Q2’15 was WWE’s lightest modern quarter for pay-per-view at $3.5M generated from 264,000 PPV buys. In 2015, more than 60% of non-WrestleMania PPV buys came from outside of North America whereas two years ago that number was less than 40%. My own conclusion is that these PPV numbers support the theory that some of the domestic WWE Network subscriber accounts are actually international users masquerading as Americans. Some of the large churn in the first two quarters of 2015 was driven by international subscribers (particularly in the U.K.) switching their accounts from domestic accounts (accessed through VPN/proxies) to international accounts. Wrestling Observer editor Dave Meltzer has strongly speculated that there is a significant number of fans in Germany, where the WWE Network is still not officially available, that have been accessing the WWE Network posing as domestic users. Of course, this means that when the WWE Network is finally rolled out in Deutschland, the net increase in subscribers may be smaller-than-expected once all the account swapping is complete. Overall, WWE announced that “approximately 180 hours of original content that will debut over the remainder of 2015” and affirmed the number from last quarter’s 10-Q that the company would spend approximately $15M to $25M on additional content during 2015. Barrios did emphasize that this spend was for both television content (such as Total Divas) and original WWE Network content (such as the new, yet-unnamed NXT Reality series, which WWE noted would be relatively expensive to produce and was being compared to the HBO series Hard Knocks). Among original WWE Network programming, WWE noted that the July 4 Live Event from Tokyo “The Beast in the East” was the Network’s most-watched program outside of their marque pay-per-view events. The company also hinted that they do plan to do more WWE Network-only events such as this. In a smart move, WWE announced that they will be introducing a three-month subscription card available at retail outlets. In this model, subscribers would not be required to use a credit card in order to access the WWE Network. A few years ago the Sports Business Journal/Scarborough estimate concluded that half of WWE fans have annual household income below $35,000. In that context, it makes sense to facilitate new ways to access the WWE Network for fans who may lack checking accounts or access to a credit card. 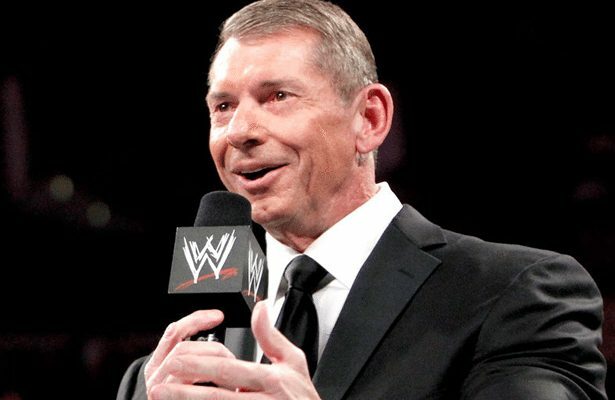 CEO Vince McMahon noted that he didn’t feel that WWE was yet supplying the right programming to reach all four quadrants of the WWE fanbase (young/old, male/female). It’s clear that the recent push for reality programming (Total Divas on E! network, for instance skews heavily female compared to USA’s Monday Night Raw) is intended to introduce new audiences to WWE characters. Likewise, kid-friendly content such as the animated Slam City have remained a top-seller in the Home Entertainment division (125,000 units shipped since November 2014). Perhaps the strategy to lure more older fans to the WWE Network will include adding more complete territorial footage or new strategies involving WWE Legends (such as a Legends House 2). Live event North American attendance was down to 5,400 per show in Q2’15. While last year’s second quarter did have WrestleMania, even excluding that juggernaut event, North American live event attendance was down this year compared to 6,000 per show in Q2’14. However, average ticket prices were up about 5% (above $46). As the graph above illustrates, over the last 18 quarters, average North American attendance has been extremely flat. While WWE has been able to squeeze some revenue growth from the stagnant base, this environment does not lay a clear framework for why investors should expect skyrocketing WWE Network paid subscribers numbers in the near future. For a company which proudly touts their 513,000,000 Social Media Followers and 1.8 total views of WWE Free Video on Demand, the revenue from their Digital Media division is shockingly anemic. As some may recall, WWE shuttered their largely unprofitable traditional magazine publishing in August 2014 as part of the cost-cutting measures that were announced that quarter. As a result, Digital Media is basically the revenue generated by the WWE.com division (which does include revenue from YouTube, Hulu and other third-party websites). A few years ago, this division was profitable. However, once the WWE Network started, the company discontinued the sales of pay-per-views via the web. WWE.com revenue contracted. Generating a paltry $3.8 million in Q2 2015 puts WWE.com revenue at the lowest quarterly amount since the end of 2011. There may be light at the end of tunnel. WWE announced today that, “WWE is one of the brands that will participate in an ad-supported video test on Facebook that shares revenue with content creators.” There’s certainly a significant upside for WWE should their popular video content resonate among Facebook users. WWE’s crowning financial achievement has been negotiating significant growth in both domestic and international television rights fees. In 2008, annual Television Rights Fees (plus Television Advertising) was around $108 million. WWE has already generated more than that ($110 million) in the first half of 2015 alone. Television Rights are up more than 30% for the first six months of 2015 compared to the first half of 2014 and up almost 20% when you compare them to the second half of 2014. TV Rights fees continue to be the primary driver of OIBDA for the company. Over the past six quarters, combined Network (PPV+VOD+WWE Network) and TV Rights were $122.9M. 88% of the OIBDA from the past six quarters was generated by TV Rights. Finally, things have achieved some balance as this quarter combined OIBDA was split 44% Network and 56% TV Rights. It’s unclear whether this will become the “new normal” for WWE moving forward. The drop in TV rights from Q1 2015 to Q2 2015 was attributing to timing around Total Divas. Last year, season two of Total Divas aired during Q2 2014 (March 16, 2014 through June 1, 2015) whereas this year’s season four began airing in Q3 2015 (July 7, 2015). Otherwise, WWE has contractual escalators in place for shows such as Raw and SmackDown. In addition, next quarter will see an increase in TV rights from both Season Four of Total Divas and Tough Enough airing on USA Network. It ought to be a very lucrative quarter in terms of television rights fees. This is especially astounding when you consider that ratings for both Raw and SmackDown have been falling throughout 2015. According to WWE, Raw averaged a 3.5 in Q1’15 and 3.2 in Q2’15 which is well-below the 3.7 from Q1’14 (-5%) and 3.5 from Q2’14 (-8%). Likewise, SmackDown averaged 2.2 in both quarters of 2015 which is below 2014’s quarters of 2.4 (-7%) and 2.2 (-1%). Average viewership for all hours of Raw in Q2’15 has dropped below four million (3.82M, 3.85M and 3.70M for the three hours of Raw respectively). Now with recent episodes of Tough Enough (airing on USA Network) slipping below a million viewers, it’ll be interesting whether NBC Universal follows through on the announcement that they are moving SmackDown over to their prized USA Network during the first quarter of 2016. Regardless of whether the ratings or viewership of WWE’s flagship shows are strong or weak, WWE will be paid the same contractually guaranteed amounts. WWE’s television rights contracts aren’t based on ratings. Still, these sort of negative trends are bad omens when it comes to future negotiations several years from now. After a rough 2014, it seems like WWE is brought their Licensing division back on track. The company attributed the year-over-year improvement in Licensing to improved units sales of the WWE video game (WWE2K15) and higher royalty rates. In addition, the burgeoning niche of mobile gaming is generating some returns with downloadable content in WWE Supercard. WWEShop had another strong non-holiday quarter ($5.8M in Q2’15) which the company attributed to “increased marketing and improved product assortment.” Excluding the impact of WrestleMania 2014 from the Q2’14 numbers, Venue Merchandise was even up ($4.7M in Q2’15 versus $3.9M in Q1’15 excluding WrestleMania). The WWE Studios division generated $2.1M in revenue this quarter but broke even in terms of OIBDA. In relative terms, that could be seen as a success since the last four consecutive quarters were all losses (combined -$1.4M OIBDA from Q2’14 to Q1’15). WWE had two releases this quarter. The Marine 4: Moving Target (starring The Miz and featuring Summer Rae) was released direct-to-home entertainment was released on April 21, 2015. Vendetta (with Dean Cain and Paul “The Big Show” Wight) had a very limited release and became available through video-on-demand on June 12, 2015. Already released projects such as Leprechaun Origins (released August 2014), See No Evil 2 (released October 2014), and The Flintstones & WWE: Stone Age Smackdown (released March 2015) were simply noted as performing “in line with expectations”. WWE shows no signs of giving up on the WWE Studios project. It’s considered an integral role of their identity as a self-described, “integrated media organization and recognized leader in global entertainment.” Furthermore, the company just established a $35 million revolving credit facility with Bank of America Merrill Lynch in May. One story to follow next quarter is whether the recent bankruptcy filing from Relativity Media has any effect on WWE Studios. Among Relativity Media’s films was the April 2014 release of horror film “Oculus” which was co-produced with Intrepid Pictures, Blumhouse Production and WWE Studios. What didn’t the WWE address? There was zero mention of any of the on-going lawsuits involving the WWE. None of the concussion lawsuits nor the shareholder/TV Rights lawsuit were addressed. While Television Rights fees are booming, television ratings have been falling through 2015. There was zero mention of the ratings slide in Raw viewership. Sadly, none of the analysts brought this up during the Q&A session. For once, there seemed to be very few hyperbolic predictions during the call. Interestingly, there was no mention of the mythical three million to four million WWE Network subscriber target or the alleged 159,000,000 WWE affinity households. Instead, the projection for next quarter’s subscriber number was reasonable – minor growth under 5%. Still, as CFO Barrios put it, we’re are seeing a “certain cadence” but it’s always possible that things will shift. Despite several attempts by analysts, WWE was steadfast on refusing to speculate about 2016. Instead, Barrios insisted that until they complete their planning cycle in the fall, it was too early for them to provide any additional business outlooks or estimates for next year. There was no discussion about the recent WWE Network survey which was sent to both current and former subscribers. Some questions in that survey have suggested the company was entertaining the possibility of $4.99 ala-cart PPVs. Moreover, there was no discussion about whether WWE was considering price changes for the WWE Network moving forward. While marque event such as WrestleMania 32 may provide a quarterly boost to the 2016 WWE Network subscriber numbers, it would generate far more revenue if it was offered a stand-alone PPV at a much higher price. While WWE would likely avoid the question now, it’s important to understand which direction the company is leaning. Yes, it was a good quarter for the WWE. However, the company is certainly not out of the woods yet. While WWE Network is generating record revenues, it’s not matching the profit-levels that WWE used to produce. Moreover, WWE’s esclating television rights are camouflaging just how large the WWE Network expenses are. It’ll still be at least a year before the company can return to their prior profitability levels, and that’s not even addressing the several years of profits that were sacrificed in the transition. How WWE chooses to handle WrestleMania 32 will say a lot — are they looking to generate the maximum revenue and profit for their investors or will they stubbornly stick to a basic WWE Network model? The stock market reacted very favorably to the Q2 results and the company delivered their first quarter where average paid WWE Network subscribers topped a million. Television rights continue to grow and the WWE Network is generating positive OIBDA. Key divisions like Consumer Products and Live Events seem to on track and stable. There are smaller divisions such as the WWE Studios and Home Entertainment segments which continue to underperform. It would be nice to hear a clearer strategy on WWE plans to translate their massive number of social media followers, huge number of free video on demand views and ability to generate Twitter trends translate into a growing and profitable Digital Media division. Still, stagnant trends in attendance, possible WWE Network subscriber plateau, major WWE lawsuits and sliding television ratings are all large impediments to substantial future growth. For more discussion on the WWE Q2 results, please listen to Harrington’s 90-minute Wrestlenomics radio episode. This article originally appeared as content at Harrington’s new Payhip page.